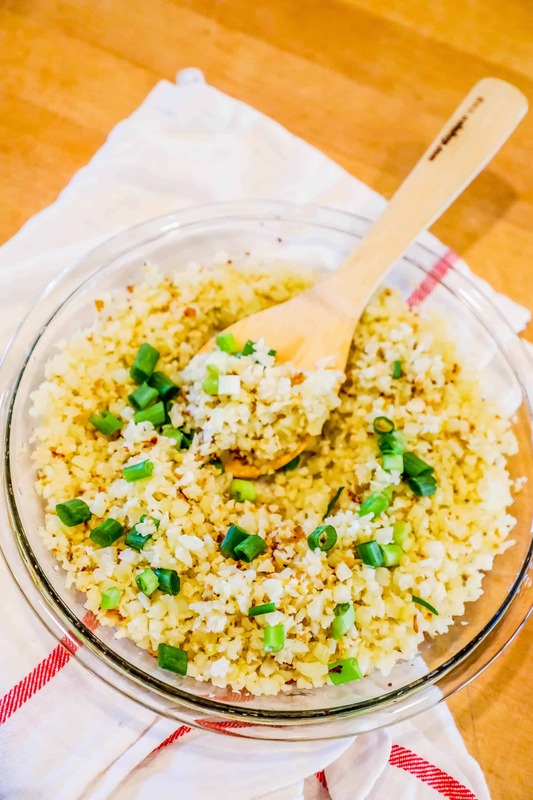 The Best Ever Cauliflower Rice – delicious easy low carb rice that tastes buttery and rich with very few calories! If you’re ever considering a low carb diet like my husband and I have been eating lately, it can get tricky planning meals. We’re focusing on fresh vegetables and lean meats with some beans – which is delicious, but can get a bit repetitive and hard to come up with new ideas – I often just resort to baking some chicken and vegetables in a hurry. When trying to mix things up, I’ve been trying to not go overboard with replacement foods like nut flour baking, etc – but there is one staple I absolutely cannot live without. 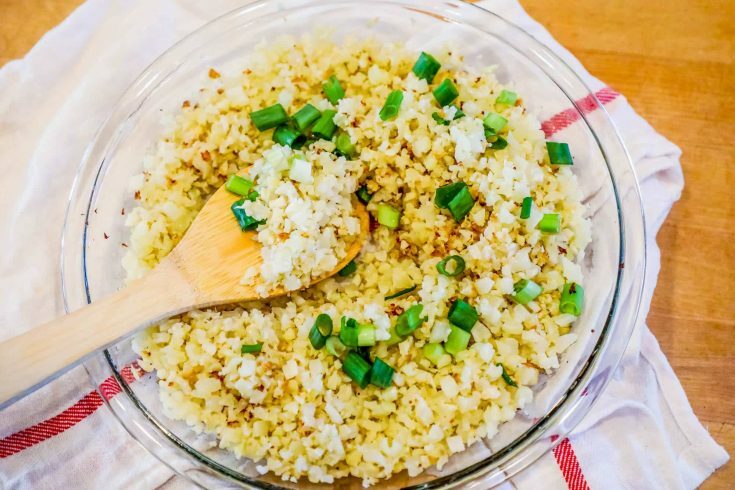 This easy cauliflower rice is a complete knockout – great in salads, bowls, and alongside dinners you’d normally add rice to. It is very low in carbs and calories, but with a rich buttery flavor – you’re going to love it! 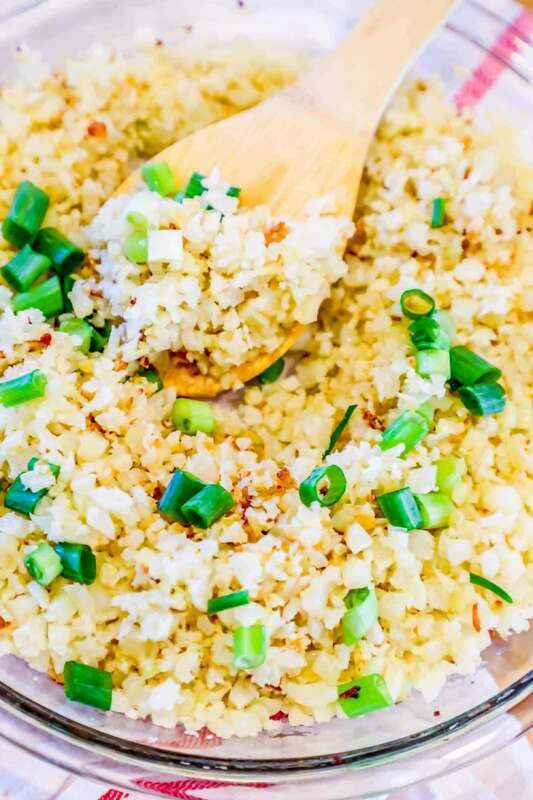 If you love The Best Ever Cauliflower Rice Recipe as much as I do, please write a five star review, and be sure to help me share on facebook and pinterest! 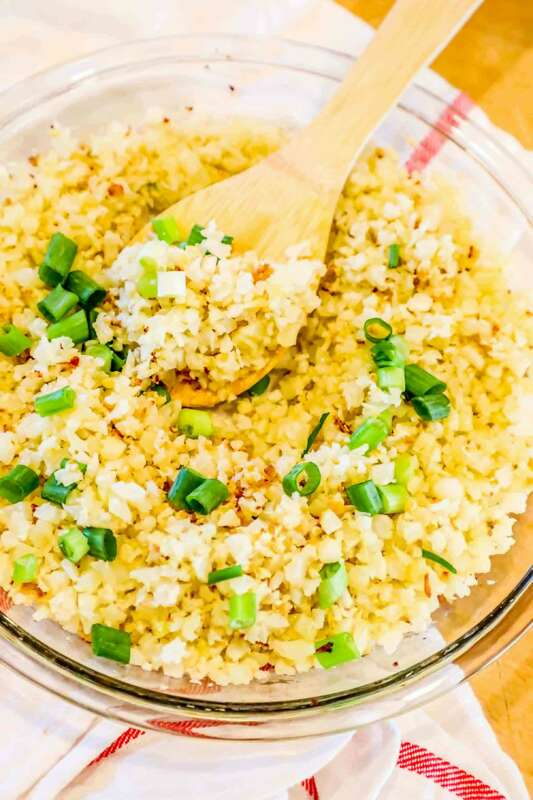 In a large baking dish, add cauliflower and smooth to make an even spread across pan. Drizzle olive oil and salt over top. Bake at 350 for 5 minutes, or 250 for 2 hours. Serve and enjoy, or let cool and use for meal prep!